THE full horror of how a pet rabbit was “tormented” by four friends before it was thrown from a top-floor window, killed and dumped, has been revealed. 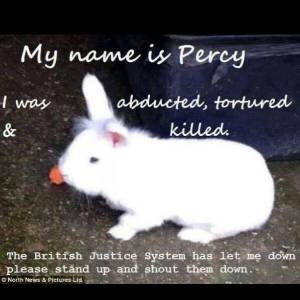 Martin Bell and Frank Hudson walked free from court yesterday after magistrates considered jailing them for the “horrendous events” they put white lion-head rabbit Percy through after being stolen from its hutch by another youth. Peterlee Magistrates’ Court heard how the pair, along with a man who has since turned 18, were already naked in a bath at a house party in Eloise Close, Seaham, when a 17-year-old, who had taken the rabbit from Embleton Mews in Dawdon, threw the animal in with them.